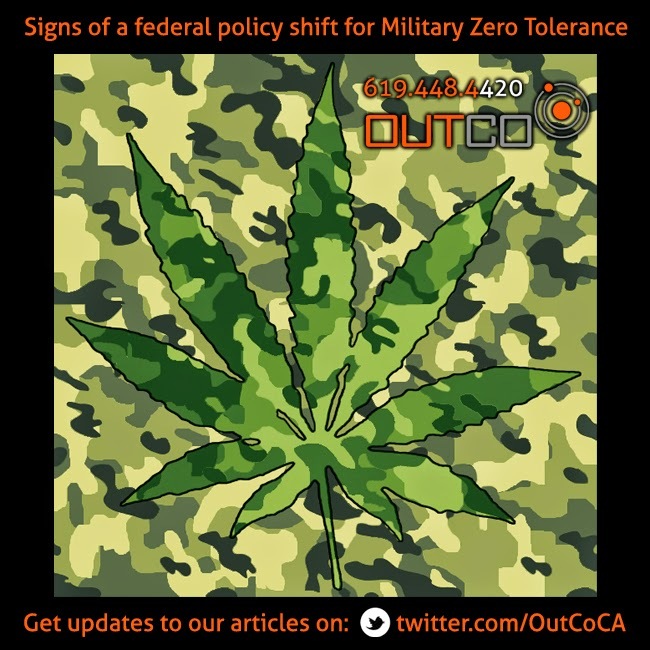 The U.S. Military holds a zero tolerance for marijuana use. Federal laws govern the military on cannabis use. New policies and studies from the federal government show promise of a policy shift to allowing medical-marijuana for military veterans. There are 23 states that have legalized medical-marijuana. Military personnel in these states still have to adhere by the federal and UCMJ laws. Seventy-five percent of the soldiers were drug tested at Joint Base Lewis-McChord in Washington in 2013. Of the 30,836 soldiers tested, 250 tested positive. This is down from 2012 which had 315 testing positive. At Fort Carson in Colorado they tested all 26,000 soldiers having 254 test positive for marijuana in 2013. On December 3rd, 2014 the Veterans Equal Access Act was released. It would allow VA doctors to prescribe medical marijuana for veterans. (Source) This comes at a crucial time for veterans when many suffer from PTSD and other conditions. Currently Arizona, Connecticut, Maine and New Mexico recognize cannabis as a treatment for PTSD. (Source) The VA working at a federal level may help open the doors for many other states to qualify PTSD as a condition that medical-marijuana can treat.